Sermon preached on 1 Samuel 7 by Rev. 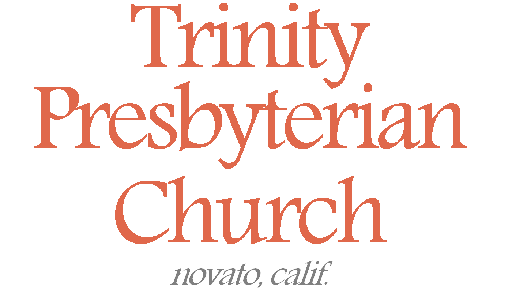 W. Reid Hankins during the Morning Worship Service at Trinity Presbyterian Church (OPC) on 2/1/2015 in Novato, CA. Sometimes you have to learn a lesson a hard way. And sometimes you have to learn it multiple times. Sadly, this passage marks the culmination of such a re-learned lesson for the nation of Israel. Recall, that this book starts at the end of an era. It’s the end of the era where Israel was ruled by judges. And the book of judges describes a repeated pattern during that era of sin, punishment, and restoration. The people would fall into widespread sin, typically associated with idolatry and false gods, and God would then have one of the neighboring peoples come and attack them and afflict them. The people when they finally recognize their sin, and cry out to God for help. In the midst of this, God would raise up a judge to lead the people typically in both religious reform and in leading them in finding deliverance from the enemy nation that was afflicting them. Then some time would go by and the cycle would repeat itself. That’s what we read about in the book of Judges. Well, in today’s passage we read about the last real judge Samuel. Starting next chapter, the people will demand a king when they see how Samuel’s sons don’t make very good judges to replace him. So, today’s passage really is the last main chapter in the Bible where we see the typical work of a judge in this ending era of judges for Israel. And the story is the same. Remember, we’ve been studying since chapter 4 a specific story about the Ark. We’ve been going through the Ark arc in 1 Samuel. That story began when Israel experienced two major defeats against the neighboring Philistine people in chapter 4. The second defeat also involved them losing the Ark of the Covenant. The Ark was captured by the Philistines and brought back to their city. But God afflicted the Philistines with a plague in their audacity to try to take control of the Ark. And so this resulted in the Philistines sending the Ark back to Israel. It finally arrived back, and we see it made its way to Kiriath-Jearim, verse 1. Finally, by the time you get to verses 2-3, we see that the people began to acknowledge their sin and look to turn from it back to the Lord. God uses Samuel as judge to lead the people in this, and ultimately bring them deliverance from the Philistines. What a typical lesson. Surely you would think the people wouldn’t have had to learn the same sort of lesson yet, again. But they did, and this chapter records it. And yet in the patience of God, we are thankful how he so often re-teaches the same lessons. As we reflect then on this lesson that they’ve had to learn again, let’s notice some of the specifics going on here in the restoration part of the cycle; they become lessons for us. As they re-learn this overall lesson and find forgiveness and deliverance, we can learn by what they are going through. And so we’ll focus on three things from this passage. We’ll consider their repentance; their deliverance; and how God used Samuel as a judge in all of this. First, observe the repentance of the people. We can learn a lot about repentance in this passage. Repenting from sin is something foundational to God’s people throughout history. We are people that struggle with sin, and so it’s a thing we should learn well. What do we see and learn about repentance in this passage? Well, walking through the passage we see first in verse 2 that it involved lamentation. Lamentation is when you are truly sorry for your sin. You have sorrow and regret over your sin. You are mourning about your sin. For example, if you read the book of Lamentations, it’s five poetic chapters about God’s people mourning over their sin. Many psalms are lament psalms, which express the same thing. And so real repentance should have this. Israel began to express this. It doesn’t mean that each time you sin you will experience debilitating sadness over each sin; in fact I don’t think you should. But there should be a brokenness of us before God that truly acknowledges how we have done wrong. We also see this sorrow come across in their fasting, verse 6. Again, you are probably not going to fast for each and every sin you commit. Otherwise, you would surely starve to death. But it is fitting on occasion, especially over more grave and serious sins that you’ve committed, to spend some time fasting before God as an expression of your humility and contrition. It’s to acknowledge how you’ve earned God’s wrath and curse, but instead are crying out to him for mercy and pardon. We also see prayer here. This is verse 9. As you will notice there, that they are asking Samuel to pray for them. Samuel then serves as an intercessor between them and God, to bring their prayers for mercy to God on their behalf. Of course, in the light of the new covenant we are each encouraged to confidently bring our prayers to God ourselves. And yet we are also still have an intercessor too on our behalf, the Lord Jesus Christ who intercedes for us before the Father in heaven. But the point here is that biblical repentance involves praying that cries out to God for mercy and help. We also see here that repentance involves a turning away from evil and a turning toward good. Let’s read verse 3 again. “Then Samuel spoke to all the house of Israel, saying, ‘If you return to the LORD with all your hearts, then put away the foreign gods and the Ashtoreths from among you, and prepare your hearts for the LORD, and serve Him only; and He will deliver you from the hand of the Philistines. '” So their returning to the Lord meant turning away from the false gods and the idolatry. And it meant then turning to the LORD, to serve him. The language of “serve” is often used in the sense of worship, and that’s surely a central thought here too. So their repentance involves a turning from their false worship to true worship. And in general, whenever we repent of sins, we should be looking to turn away from those sins and turn toward the godly alternative instead. In other words, repentance is always more than just sorrow. It’s like when someone does something to you to hurt you, you usually want to hear more than just them say that they are sorry. You want to see that they are truly sorry by them expressing how they are going to commit to try to stop hurting you in that way anymore and try to be loving to you instead. Well, as we talk about repentance, don’t miss where this repentance is to come from. We just read it in verse 3. It needs to come from the heart. People can easily go through the motions of saying they are sorry, and even acting like they are sorry. People can outwardly change from doing the wrong thing to doing the right thing. But God knows people’s hearts. He knows if you are really repentant on the inside. And that is what he calls us to be. He calls us to repent from the heart. We see that here in Samuel’s charge to the people. Yet another important aspect of their repentance here is that it involves a sacrifice. Verse 9 describes Samuel taking a lamb and sacrificing it as an offering to the Lord. Now, of course, we don’t do that anymore. We don’t do that any more because such sacrifices for sin were typological. It foresignified the sacrifice of Jesus Christ to come. And his sacrifice is not something that we have to repeat each and every time we sin and look to repent of such sin. And yet, each time a Christian does acknowledge a sin and repent of it, we are coming to God with the sacrifice of Christ. In other words, we don’t re-sacrifice Christ, but each time we pray to God in repentance, it is a prayer offered in the merit and efficacy of Christ’s once for all sacrifice to atone for all our sins. The last aspect of repentance that I’ll mention here is that in this particular case it is done corporately. The people gather at Mizpah for a time of corporate assembly, where together they are repenting of their sin. Interestingly, verse 6 records some ceremony where they take water and pour it out before the Lord. What does that water pouring ceremony mean? We don’t know for sure. Maybe it was an expression of humility where they acknowledge to God how fleeting they are, all like water spilled on the ground that cannot be gathered up again; that’s language used in 2 Samuel 4:14 that might explain this event. Or, maybe the water is reflective of tears and weeping before God, like how in Lamentations 2:19 it says that we should pour out our heart like water before the face of the Lord. Or maybe this pouring out of water is a way to further express their fasting; that they are not even going to drink any water, they are coming in such humility before God. So, any of these are possibilities. We just don’t know for sure. But it does seem that it was some way in which they expressed their humility and repentance before God. At any rate, here their repentance is given corporately. There is a time and place for that. Often, of course, repentance happens on the individual level too. But the Bible records both. Both are fitting, given the right circumstances. And so Israel shows a very excellent textbook example of repentance here. It was a repentance that involved acknowledgment of sin, lamenting over that sin, and turning from the sin to righteousness. It was one that was from the heart, and it was one that looked for atonement via sacrifice. It was on that called out to God as their savior and for help. And you’ll notice that what’s in the background to all this, is their troubles with the Philistines. God had used the Philistine affliction to chasten Israel and bring them to this point of repentance. Now, they seek God for help and deliverance from these Philistines. And so that is what I’d like to look at briefly next. That God brings deliverance to his repentant people. Those two things go hand in hand. Under the topic of deliverance then, notice first verse 3. Samuel promises deliverance as a blessing that would come from God in their repentance. They would be delivered from the hand of the Philistines. This is what the people specifically ask for as well in verse 8. Interesting, how all of this comes to a head. As the people gather corporately for repentance at Mizpah, verse 7 says that this sparked the Philistines’ attention. They got worried about a big gathering of Israelites, and so they decide to take the initiative to assemble and launch an attack against Israel first. And so God uses Israel’s gathering for repentance in a way to lure the Philistines out into battle. And when the Philistines do come out, it causes the people to cry out to God all the more for help. And that’s exactly what God would want, of course. God wants his people to rely on him for deliverance. And so God hears and answers their cry for help, verse 9. There is some great thundering by God that confuses the Philistines. Israel launches an attack against them and God gives them a great victory. Notice the summary then in verses 13-14. The Israelites were able to take back all the lands they had previously lost to the Philistines. They had success against the Philistines the rest of Samuel’s days in judging them. Verse 14 also mentions that widespread peace by noting that the people also experienced peace with the Amorites at this time as well. What’s the point here? God gave them victory. God granted them deliverance. But only after they got right with God. They shouldn’t have expected deliverance otherwise. But having got right with the Lord, it resulted in not only an immediate victory against the Philistines. But it resulted in a lasting deliverance, not just with them, but with their other enemies too. All the rest of the days of Samuel as judge. So then, verse 12 tells us how Samuel commemorated the great deliverance God brought the people. Samuel takes a stone and sets it up in the area where they experienced the great victory against the Philistines. And he calls the stone Ebenezer, saying, “Thus far the LORD has helped us.” The word “ebenezer” in Hebrew, by the way, means “stone of help”. Understand what this stone was. It was a memorial. Somewhat like how today you might see a big stone at some Veterans’ memorial location, with the names of fallen soldiers engraved in it. A veterans’ memorial reminds us of the military service of our fellow countrymen. And this stone was set up as a memorial to remind the people of what God did here in all of this. And in fact, the name Ebenezer seems to be an especially good choice. You might remember that when all this conflict started years back with the Philistines the Israelites began that conflict with them encamped at a place called Ebenezer. To clarify, where Samuel setup the rock was not that town of Ebenezer. Instead, it seems that by naming the stone Ebenezer it reminds us of the whole cycle. It reminds the people of their sin, and their chastisement by the great defeats to the Philistines and losing even the Ark to the them. But the stone also reminds them then of the help the God gives his people when they repent and return unto him. Well, as we’ve tried to learn today with the Israelites the lesson they were to be learning in all this, we’ve seen their repentance and their deliverance. Let us then in our last point observe how God used a leader among the people to help bring this all about. I’m talking about Samuel. During all this whole multi-chapter story about the Ark, we’ve not heard of Samuel. The last mention of Samuel was in 4:1. But now, finally, at last, Samuel returns to the story and he comes as a hero of God. We had seen Samuel in the past as a priest. We had seen him become established as a prophet. Now we see him used as a judge. That’s the particular emphasis given to him in this passage. After Eli had died, he rose up now as judge of the people. Of course, his other roles are seen here too. Clearly his role as prophet comes out in verse 2 when he speaks to the people about what they are to do in repenting and returning to the Lord. That was very much a prophet’s role. Clearly his priestly function comes into play too when he offers a sacrifice on their behalf and intercedes on their behalf to God. I love how verse 9 describes how he cries out to the Lord for Israel, and God answered them! And then not only does it make repeated reference to his judging of Israel, but it mentions that after their repentance and deliverance, that Samuel was making a regular circuit of judging among various cities in the Benjaminite area. Often it seemed the main judges of Israel would operate from just one city, and you’d have to come to them. Samuel’s care for the people even had him make these regular tours around the area, which would have surely been a blessing to them. My point here is that as we think of this repentance and deliverance among the people, we shouldn’t miss how God tends to use leaders among the people in bringing these things about. The book of Samuel is really concerned about godly leadership. And of course remember even back to the Torah, Moses himself predicted a leader like himself who would come. Moses, who himself was a prophet, priest, and judge, predicted someone like him to come. Samuel in many ways fit the description. But of course in the light of more revelation, we know there was yet an even greater leader who would come his people. That would be the Lord and Savior Jesus Christ. Jesus is also a prophet, priest, and judge, but also a king too. And Jesus comes not as a mere servant of God, but as the Son of God. And so as our passage helps us to see the value of godly leadership like Samuel, it ultimately points us again to the value of the ultimately leader for all God’s people, the Lord Jesus Christ. Trinity Presbyterian Church, in our chapter, Israel was reminded of some important lessons. The ultimate lesson could be summarized in what was memorialized in that stone. The Lord is the helper for God’s people. If you turn away from the Lord, you are turning away from that help. But in God’s gracious longsuffering he calls his wayward and straying people to return. And in returning, he encourages them, he forgives them, and he heals them. And God has used many leaders along the way to remind the people of this. He’s even used rocks like Ebenezer to try to keep it in their minds. Sadly, we’ll see the future of Israel forgetting this lesson again. In the very next chapter, they’ll experience trouble with Samuel’s sons’ sins, and they think the answer is to get a king like all the nations. But what they should have done is sought to biblically deal again with the sin in their midst, and to keep looking to the Lord to be their help. Instead, they go into a new era of kings that has too much similarity with the era of the judges. When the people had a godly king, they tended to do well. When they had a wicked king, they tended to all go that route, and end up in a similar cycle of sin and punishment that would leave them needing to repent afresh and seek help from the God of help. If only the people had remembered the lesson of the stone called Ebenezer. If only their leaders would remember Ebenezer. Well, there has come a leader who has not forgotten that God is our help. That is Jesus. Jesus came as a prophet to tell us afresh and anew that God is the help for those who belong to him. But Jesus didn’t just come to tell us that God could be our help. Jesus himself came as that help. And he make it possible for us to receive this help. You see, yes, God is the help for his people. But as we saw here, that help only came when they were restored in their relationship with God. That involved repentance, but also a sacrifice. But those sacrifices for sin in the old covenant were only temporary placeholders until the real sacrifice for sin would come. That came in Jesus. Jesus not only served as priest for us, but he offered his own self as the once for all sacrifice, so that we could be reconciled with God and be in good relationship with him. This is the only way we would be able to know God as our help. But that is what we have come to know. And God as our help has then sent Jesus as king to lead us in deliverance and victory over all our enemies. Right now he does that spiritually, reigning on high over his people, coming to us as a judge and shepherd to lead us in holiness. And right now he goes out with us into the spiritual battles that he has us engage in. And he is coming again as at the final day of judgment, as a conquering king to bring a final judgment on all his and our enemies. So then, let us not forget brothers and sisters. If God is for us, who can be against us? Let us not fall back into our old man’s habits that think and act like the world does. We know that the world is not our help. And let us not go back to listening to Satan and his lies. We know that Satan is not our help. And let us not think our success lies in ourselves. We know that we are not our ultimate help. But our help is in the Lord. And he hasn’t given us a stone to remind us. He has given us of his Spirit to remind us. As Jesus said in John 14:26, that the Holy Spirit is sent to us bring to remembrance the teachings of Jesus. And not only that, but remember what we will partake of today. We will partake of the Lord’s Supper. This supper too is given as a memorial. We do this in remembrance of Christ, and what it means for God to have helped us in Christ. This too is to remind us of the lesson that God is our help! And so God helps us by his Spirit to remind us through the Word and Sacrament that he is our help! We are reminded then again today of the importance to remember the teachings of the Lord. When life gets difficult, when troubles come, let us not forget God or forsake God or doubt God, but let us go back to the basics. Trust in the Lord. Believe that the Lord is our help. Be renewed in the life of a disciple of Christ, which is a life of regular repentance and faith. A life that seeks God daily in prayer and in his Word. A life that looks to grow in Christ. Yes, the full deliverance from our troubles and trials and enemies won’t come in the full until the day of Christ. But how many extra troubles do we heap upon ourselves simply because we forgot these truths that God would have us to remember. Let’s not join with these Israelites who struggled to remember the fundamentals of what it means to follow God. Let us join with them instead in the lesson of Ebenezer, and take great joy in the solid rock of Christ’s Spirit within us that bears witness that God in Christ is our help! Amen. Copyright © 2015 Rev. W. Reid Hankins, M.Div.